The ubiquity of social media leaves the world with two near absolutes: 1) Chatter never stops and 2) People are able to make things appear vastly different from what they are, if they so choose. These intangible places where so much or so little of life is seen and heard, has a direct line to one’s time and one’s sense of the good or bad happening around them. 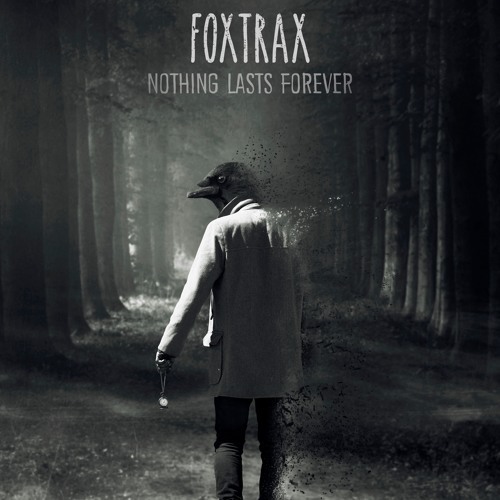 “Nothing Lasts Forever,” the newest single from Foxtrax (Ben Schneid-Vocals/Guitar/Keys, Jon Stenz-Percussion, Jared Stenz-Bass) – Long Island to Los Angeles transplants of the indie rock persuasion – isn’t a song about social media. However, not only does it breach the subjects of time and emotional vacillation, it brings the two together in the form of a reminder that, much like the facade of social media, it isn’t what it first appears to be. 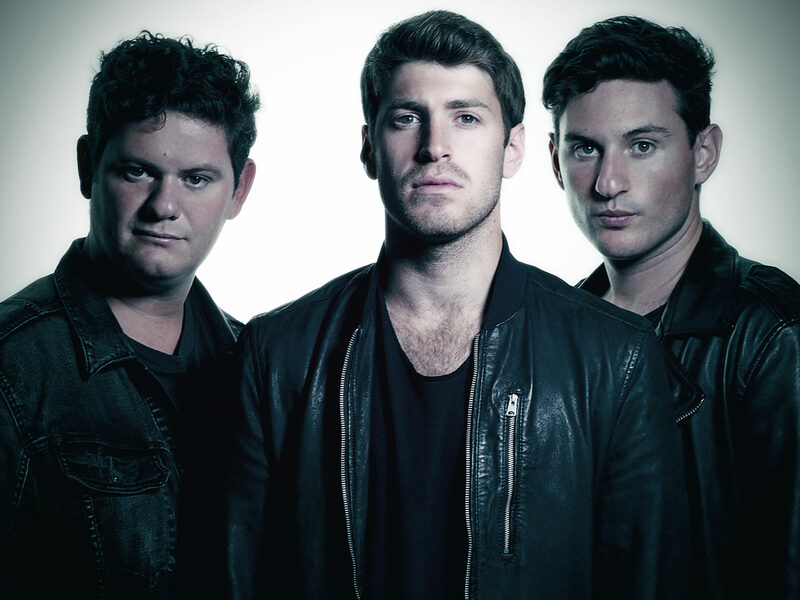 Since the re-release of their debut EP The Cabin (independent, 2016), Foxtrax has changed quite a bit. Not only has the band shifted to a singles-oriented release format but the trio’s aesthetic – both from a musical and visual standpoint – has taken on a more reserved and somberly introspective tone. Previous single, “Grey Morning,” initiated this shift with a literal greying out of artwork by Kavan the Kid but, that theme seems to have carried over into “Nothing Lasts Forever” beyond a one-off bit of connective artistry for the former’s song title. Though Kavan the Kid is back again with anthropomorphically fantastical, grey scaled artwork, the music which the imagery now represents shows Foxtrax wasn’t making a quick stop in the corner to contemplate inner difficulties. The old story of a guy being down on his luck is one that nearly everyone, save for the innocent just born, can relate to from one point in their lives or another. When the titular-centric chorus kicks in with vocalist, Ben Schneid, making a gradual melodic descent over affirming “no’s,” (Nothing lasts forever / Nothing lasts forever / No, no / No, no), at a quarter of the way through the song, the message might seem solidly stuck in a decidedly pessimistic place. After all, change is one of the only things certain in life. But wait. Therein lies the kicker for this deceptively depressing single. Listeners are settled into a downtrodden frame of mind, which is supported by a reminder of imminent loss. The only thing is, the kind of loss one comes away with all depends on what is at stake. Logically thinking of loss as a bad thing makes sense but as far as Foxtrax is concerned, it’s all about losing the dispirited weight within – whether it’s a bad day, a long term rut, a bout with grief, or anything else serving to crack an otherwise positive outlook – and thus, arriving at a place of relief, solace, and eventual improvement. It’s kind of like the shocking moment that happens after looking at an optical illusion that contains two images and finally becoming aware of both instead of only one. After coming to realize the double sided nature of the lyrics to “Nothing Lasts Forever,” the instrumentation and compositional interplay keeps the simultaneous but subtle contrast coming. A song built primarily on major chords, though the strings and soft synthesizer could easily offer areas of refuge from musical uncertainty with resolution to the tonic I chord at the end of the hook, the melody opts instead, to transition into each verse with a stepwise descending minor third. Additional intermittent tinkering with the balance of the melody by chords from Schneid’s guitar (hello D♭ minor and A minor) clashing either with the stabilizing rudder of Jared Stenz’s bass or the movement in the vocals, instills moments of pause because the song doesn’t move, in perfect uniform order across all parts, the way many might expect, given so much familiar pop rock character being otherwise present in the way Foxtrax writes. There’s a sense of expansiveness in the mix – room left for tones to release and decay to their fullest, rather than bury each other in overlapping notes. Contrastingly, although Schneid’s vocals contain a sizable amount of reverb to match the expanse, the ends of his words – consonant sounds specifically – are given full presence and definition over being scrubbed down for unfinished syllables or softer spoken edges. (Schneid also gets points for bringing his own enunciation to the mic. Sounds can be taken away but they can’t be added if they’re not supplied from the start.) Tom hits and bass plucks are audibly defined but not overly sharpened to cut through to the top of the arrangement pile. Altogether, the sound stage has feathered boundaries but the pieces within – Jon, Jared, and Ben that is – are each given clear paths for their parts to navigate through from the start to the end. The balance of vagueness and clarity in the mix is appreciable to say the least. It’s understandable on a few different levels; not the least of which is the fact that there’s pre-existent chemistry between Foxtrax, Ben Roulston, Alexander Wolfe (Wolf Alice, Florence + The Machine), Brian Lucey (The Black Keys, Royal Blood, Cage the Elephant) and Reed Black (Vampire Weekend, Karen O), who all worked together on The Cabin, in Black’s Brooklyn studio, Vinegar Hill Sound, where these more recent tracks hail from as well. All in all, “Nothing Lasts Forever” is a showing of concerted but gently implemented change on just about every front. The single is thematically keeping with its immediate predecessor but drastically keeping itself separate from the very instantly recognizable style of indie pop that ran through The Cabin. Foxtrax has turned a page and this new chapter seems willing to explore beyond the bright lights of a packed room and into the darker, quieter, less pretty spaces of life between successes. “Nothing Lasts Forever” is available now through iTunes and streaming on Spotify. Note: A previous version of this article credited Jim Kaufman as the producer for “Nothing Lasts Forever.” It was produced jointly by Foxtrax, Ben Roulston, Alexander Wolfe, and Reed Black, at Vinegar Hill Sound Studio in Brooklyn, NY.